Streamlining a company or organizations image and improving communications with stakeholders are Stern PR Marketing fortes. Client Douglas County West Community School district is one example of the effectiveness of Omaha Marketing/Public Relations Consultant Susan Stern’s work. To the left is an example of a Stern PR-produced hard copy newsletter that was also converted into an email marketing letter. Consultant Susan Stern does all the work herself: the copy, graphics and photography. In this day and age, internet video marketing is an effective way to reach a target market. Omaha Marketing Consultant Susan Stern knows how to tell a compelling story, harkening back to her days as an on-air TV and radio journalist. Stern is an ace behind the camera, in video production, as a script-writer and voice-over professional. Stern created a newscast-style video introduction on the youtube channel she created. It’s Omaha video production utilizing a mix of good ‘ole fashioned journalism and PR. Feedback has been extremely positive from students, parents and the community! Omaha website development company services for the school district is what Consultant Susan Stern does with exceptionalism. Turning blah to wow. This particular website was produced from a template provided by a third party that caters to school districts. Consultant Susan Stern revitalized the website with a professional look using a mix of graphics, copy, video and custom photography. Omaha Public Relations Consultant Susan Stern is a website content writer, too penning rich articles with catchy headlines and content writing done broadcast-style. Omaha Neb Press Release strategy, writing and media relations – what Consultant Susan Stern does well tapping into over a decade as an on-air broadcast journalist in radio in television news. Stern knows how to write an interesting news release that generates coverage on TV, Radio and newspaper. A proven track record of generating news. The Omaha World Herald ran a story after receiving this news release. Consultant Susan Stern’s news release writing has helped clients achieve coverage in national and international publications including the Wall Street Journal, Reuters and several dozen others. Consultant Susan Stern also produces outstanding Omaha Social Media Marketing services from custom cover design to monthly platform maintenance. 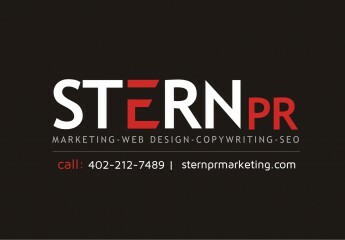 Besides creating catchy copy, Stern shoots her own photography, videography and creates custom graphic design. Omaha PR Consultant Susan Stern demonstrates how an organizations annual report doesn’t have to be boring. Contact Omaha Marketing/PR Consultant Susan Stern direct at 402-212-7489. Learn how with her help, your organization or business can communicate better with stakeholders. A 21st century touch on & offline branding. >> Leave this blog. Visit the official website now! 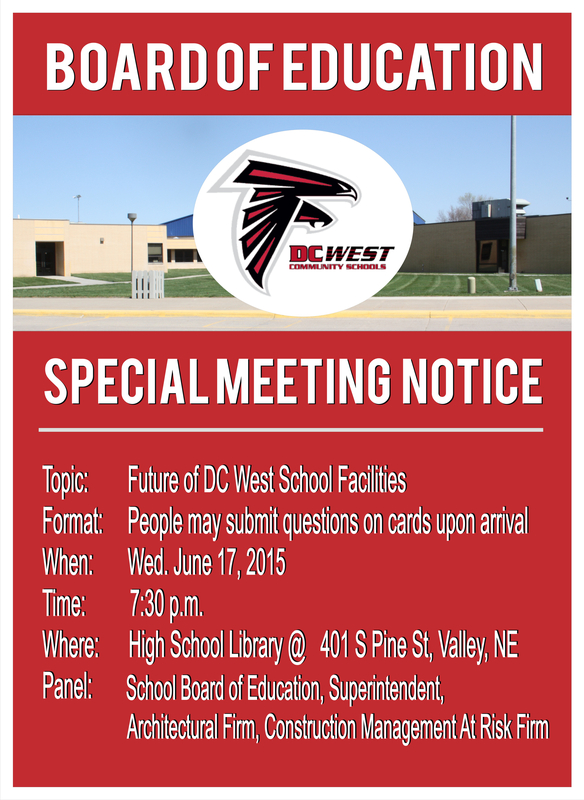 Other Omaha Video Productions for DC West Community Schools. Stern PR knows how to tell a story via video, voice-over and great copy! By Susan Stern — Online Reviews, the good and bad, can make or break a business. So, positive reviews on Google, Facebook, Yelp, Manta and Merchant Circle can be key to business success. That said, before a business asks a client to consider penning a review, companies must clearly understand what they can, and can not do. I draw from two real life stories that recently happened. In a nut shell. I noticed two Omaha retailers violated social media sites’ terms and conditions, and one business did worse. So herein, I shall discuss how not to ask customers to write online reviews. Write a Google review, get $10 OFF your purchase and $5 OFF for a Facebook like. Hmn… The business, albeit innocently, is in violation of Google’s terms and conditions. Don’t offer money or product to others to write reviews for your business or write negative reviews about a competitor. We also discourage specialized review stations or kiosks set up at your place of business for the sole purpose of soliciting reviews. As a reviewer, you should not accept money or product from a business to write a review about them. So, here’s what I did to help the business. With professionalism and a smile, while handing over money for services rendered, I gave the friendly sales manager a candid heads up: “Thanks so much for great service. Just an FYI. You might want to consider taking down that signage offering a discount for reviews and likes.” I explained why. Later, the owner called, thanked me for the advice, and the retailer removed the signage. A great end to story #1. The business owner, with quivering lip and red face, had the nerve to state something like, “I will NOT sell the product to you unless you promise that you are satisfied, that you’ll only write a positive review.” To reiterate, the pressuring business owner demanded assurance that I would only write a positive review OR no sale. What?! Oh my goodness. The demand was nauseating. With my stress level exceedingly high from the conversation’s nature, the business owner left the room, discussed the matter with a level-headed staffer, before the pair returned with a new attitude. I closed the sale because I really, really wanted the product. I shook hands with the business owner, thanked him and left. No, I was NOT happy with the owner’s “customer service in total,” but the product that I bought is spectacular. Hopefully, this local retailer learns a lesson from our exchange. I assume some customers might not be so nice. Instead, this Omaha marketing consultant seeks to share these real stories to educate business owners – how NOT to ask for a Google review. Many do not know the rules of the road. Customers should be aware, too. While obvious, no business should demand to know if you’re satisfied and that you would only write a positive review or no sale. It is also a no, no to buy Facebook likes or offer product discounts for reviews. Doing so violates social media terms and conditions, and is just bad business. That’s it. That’s all you should do – to ethically seek an online business review! Comment below. Share Your Stories. Susan Stern Public Relations :: USA Campaign Consultant Achieves! (Omaha, NE) — If you have a consumer or industry-specific campaign your group, organization or movement wants to launch, count on Omaha Public Relations Practitioner Susan Stern to take your idea and transform into a newsworthy, full fledged USA campaign – which garners support and attention nationally, regionally or locally – netting quantifiable results! With the Susan Stern copywriting touch, your issue shall garner news media coverage online & off. Yes, the solution to Omaha-based campaign development/implementation IS indeed Susan Stern. “I love the work I do. I am a passionate person through and through. I care and work very hard to do an outstanding job with the mark of total professionalism,” remarks Susan Stern. Located in Nebraska, Omaha PR/Marketer Consultant Susan Stern basically operates as a one-woman band for clients, per se. The Beef Additive Alert™ campaign involves daily Facebook blogging & Twitter. Susan Stern scripted, edited, produced and voiced the Beef Additive Alert™ VIDEO PSA. Stern PR™ wishes to publicly commend Canyon Texas High School Ag Science & FFA instructor Jeff Klose for presenting a project to his classroom on the controversial beta agonist cattle feed issue. Klose asked us to answer a series of questions, to which we did. We wish more teachers would recognize the importance this matter is to consumers, youth show ring competitors and the cattle industry. Cheers! As you can see, Susan Stern, Stern PR™ nets results for her clients! A one woman band, per se, Omaha PR Practitioner Susan Stern offers everything under one roof. All in all, expect personalized service from someone who really cares about her clients. “I have a vested interest in client satisfaction. I understand that If you succeed, I succeed,” notes Susan. Stern PR Client Successes | Beef Additive Alert Campaign.